In 2010, at the same time as the national roll out of the Free Health Care Initiative (FHCI), which removed user fees for facility based health care, trained community health volunteers (CHVs) were deployed to provide integrated community case management of diarrhea, malaria and pneumonia to children under 5 years of age (U5) in Kambia and Pujehun districts, Sierra Leone. After 2 years of implementation and in the context of FHCI, CHV utilization rate was 14.0 %. In this study, we examine the factors associated with this level of CHV utilization. A cross-sectional household-cluster survey of 1590 caregivers of 2279 children U5 was conducted in 2012; with CHV utilization assessed using a multiple logistic regression model. Focus groups and in-depth interviews were also conducted to understand communities’ experiences with CHVs. 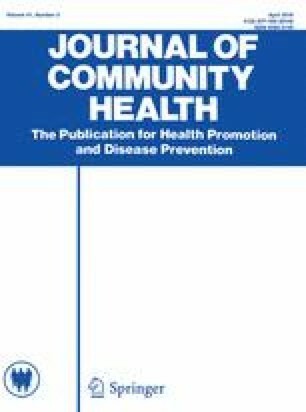 Children with diarrhea (OR = 3.17, 95 % CI: 1.17–8.60), from female-headed households (OR = 4.55, 95 % CI: 1.88–11.00), and whose caregivers reported poor quality of care as a barrier to facility care-seeking (OR = 8.53, 95 % CI: 3.13–23.16) were more likely to receive treatment from a CHV. Despite low utilization, caregivers were highly familiar and appreciative of CHVs, but were concerned about the lack of financial remuneration for CHVs. CHVs remained an important source of care for children from female-headed households and whose caregivers reported poor quality of care at health facilities. CHVs are an important strategy for certain populations even when facility utilization is high or when facility services are compromised, as has happened with the recent Ebola epidemic in Sierra Leone. This study was supported by the Department of Foreign Affairs Trade and Development Canada and administered through UNICEF. We would like to acknowledge all the respondents and village elders who made the study possible CARE, IRC and ABC Development Partners in Kambia district and Save the Children in Pujehun district implemented the intervention. Interviewers recruited by Statistics Sierra Leone conducted the fieldwork for the household survey. Mr. Adam Wolkon and Ms. Jodi Vanden Eng from the Centers for Disease Control and Prevention (CDC) performed PDA programming, training and troubleshooting during data collection. We would like to thank UNICEF Sierra Leone, specifically John Baimba, Kennedy Ongwae and Ngozi Kennedy, who coordinated meetings, implemented contracts, purchased supplies, and provided input during data collection. For the qualitative research, the authors wish to thank: Eoghan Brady, Agnes Kamara, Sheka Bangura, Daniela Bongay, Alie Timbo, Kadie Samai, Bernadette Allieu, Mohamed Feika, Abu Bakarr S. Kamara, John Momoh, Isata Foray, Celina Hansen, Sunday Smith, Dr. K.S. Daoh, Dr. Tom Sesay, Dr. Mohamed A Vandi, Dr. David Bome, Dr. Sartie Kenneh, Ngashi Ngongo, Therese Dooley, Francesca Moneti, Christiane Rudert, Ariel Higgins-Steele, and Shannon McMahon. In addition, we would like to thank the community leaders who facilitated this work, as well as the health providers and community members who generously shared their time, thoughts and experiences. AIY—co-investigator of the study; worked on amending study protocol, data collection, manuscript conceptualization, analysis, and lead in writing of the manuscript. ASG—input on study protocol, involved in manuscript conceptualization, substantial input and feedback on manuscript drafts. AS—co-investigator for qualitative study; input on qualitative study findings, substantial input and feedback on manuscript drafts. WRB—feedback and input on study protocol and manuscript drafts. LHM—provided input on the manuscript data analytic plan and feedback on the different drafts of the manuscript. FY—local co-investigator for qualitative study; input on qualitative findings and feedback on manuscript drafts. PB—conducted training of field staff, provided supervision of field staff, input on data analysis and feedback on manuscript draft. AK—overall coordination of qualitative and quantitative studies, input on manuscript drafts. TD—principal investigator of study; protocol development, input on manuscript conceptualization and substantial feedback on manuscript drafts. QGIS, Quantum GIS Development Team. (2014). Quantum GIS Geographic Information System. Open Source Geospatial Foundation Project. http://qgis.osgeo.org.